By accessing this web site, https://estarrassociates.com, you are agreeing to be bound by these web site Terms and Conditions of Use, all applicable laws and regulations, and agree that you are responsible for compliance with any applicable local laws. If you do not agree with any of these terms, you are prohibited from using or accessing this site. 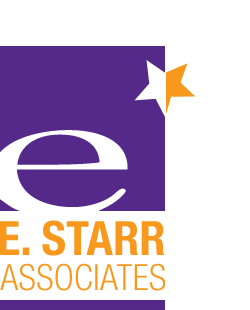 The Site and its original content, features and functionality are owned by E. Starr Associates and are protected by applicable U.S. and international copyright, trademark, patent, trade secret and other intellectual property or proprietary rights laws. The content and marks are provided on the site “as is” for your information and personal use only. No part of the site and no content and marks may be copied, reproduced, aggregated, republished, uploaded, posted, publicly displayed, encoded, translated, transmitted, distributed, sold, licensed or otherwise exploited for any commercial purpose whatsoever without our express prior written permission. E. Starr Associates may revise these Terms and Conditions of Use for its web site at any time without notice. By using this web site you are agreeing to be bound by the then current version of these Terms and Conditions of Use.